There are a lot of store cards out there – some of them much better than others. But one of the best definitely has to be the Target REDcard. With this card, you get a discount, each and every time you shop – and it’s a pretty big discount too. It actually offers one of the best discounts out there for a store card. And this is on top of the many ways you can save money at Target. And you get access to a multitude of other benefits. If you shop at Target – whether for yourself or for somebody else through the Target Baby Registry program – then you should consider signing up for it. In this Target REDcard review, we cover the pros and cons of this store card, and whether or not it’s worthwhile. So check out our review, and see if this card is for you. What is the Target REDcard? The REDcard from Target is essentially a customer loyalty/rewards card, much like those cards offered through gas station rewards programs. Usually with a store card, you use it alongside your regular debit or credit card, or cash when you get to the checkout. And, your loyalty card accumulates points or gets you a discount. It actually functions as a credit or debit card too. So not only do you use it to get rewards, but you also use it to pay for your purchases. Target gives you the option of getting the REDcard as a debit card or a credit card. So depending on your financial situation, you decide on the type of card that is best for you. Both cards offer the same benefits – you get the same discount on purchases and other perks that we discuss in more detail below. The Debit Card functions as a typical debit card, where you pay for your purchases with money from your bank account. The Credit Card functions as a credit card, where you pay for your purchases using credit and pay your bill each month. Of course, as with any credit card, you have to pay interest – a fairly standard 23.90% APR. And, if you are late with payments, then you are charged a late fee of $38. There’s also a fee of up to $28 for returned payments. This is, generally, the case for all credit cards though. If you do opt to go with the credit card, then make sure that you pay off your purchases in full each month, and that you aren’t late with any payments. You can find out more about fees and interest for the Target REDcard credit card here. 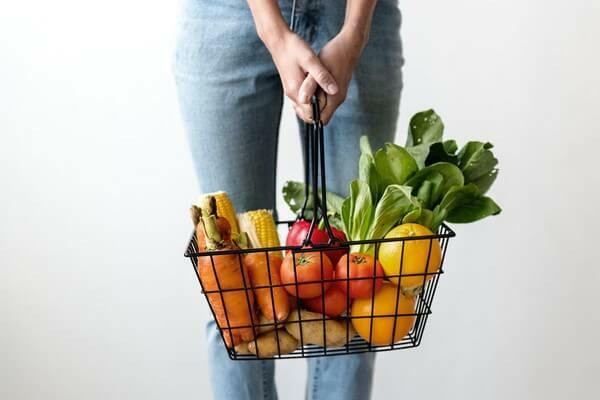 So, essentially there are no additional benefits to the REDcard credit card – just the regular benefits that come along with using any credit card, like building up your credit history and being able to make purchases using credit and paying for them later. But, keep in mind that the debit card offers the exact same benefits, but interest and fees aren’t an issue. As for which one you should go with, it really depends on your personal preferences. If you prefer to have a credit card, then opt for that, but if a debit card suits you just fine, then choose that instead. How to apply for Target REDcard? Wondering where to buy a Target REDcard? The answer is, you don’t actually buy it, you apply for it! Step one: Visit Target REDcard’s application page. Step two: Click on either “Apply for credit card” or “Apply for debit card”, depending on which type of card you want. Step three: Fill out the form and send it in. If your application is approved, your should receive your new card within 2 weeks. If, however, your Target REDcard application is denied, I wouldn’t be too upset. The main cause would probably be your credit score and history, so I’d work on building that history and increasing the score so next time your application gets approved. Now, here’s a quick overview of the requirements for applying for a debit card. Need to be at least 16 years old to apply for one. Will need a United States based checking account. Need to wait for Target to verify your personal checking account number, before you can use your card. Must have personal information handy, like your Social Security Number, valid driver’s license, state ID or military ID, your personal checking account and bank routing numbers. Here’s a quick overview of the requirements for applying for a credit card. Must have a US address. Need to be able to provide personal information, like your Social Security Number, valid driver’s license, and state ID or military ID, for example. Have to agree that by applying for a Credit Card from Target, you are providing contact information to TD Bank USA, N.A. and Target Corporation for their use. Once you receive your REDcard, you can use it to purchase items in Target stores, and online at Target.com. If you have a credit card, then Target will send you a monthly bill. You can make payments at Target.com/myREDcard. At that address, you can also check your balance and review statements. If you have the debit card, then you can view transactions and manage your PIN at Target.com/myREDcard. Now you know what the Target REDcard is and how it works, you probably want to know what benefits it offers, and if there are any cons. Below, we’ve put together a list of the pros and cons of Target’s store card, to help you to decide whether or not to sign up. First, let’s start with the pros of this credit or debit card. Each time you use your REDcard at Target, you get 5% off your purchases. If you save 5% each and every time that you shop, then you save so much money over the course of a year. If you spend $600 per month at Target, for example, over the course of the year, you spend $7,200 there. So if you have a Target card, then you would save yourself $360 annually. This is definitely the biggest benefit to having the REDcard. With a lot of store cards, you have to earn points and then redeem those points for store credit or a discount on future purchases. This isn’t the case with the Target REDcard. With this card, you don’t have to earn points or purchase specific products. All you need to do is shop as normal, and you save 5% on your purchases at Target stores and at Target.com – that’s it. It’s super simple. Shopping online is great, but the cost of shipping certainly isn’t. Having to pay shipping fees can really bump up the cost of your purchase. Fortunately, if you have a REDcard, then you get free shipping on almost everything on Target.com. Again, this is another one of the biggest benefits of being a cardholder. If you do a lot of your shopping on Target.com, rather than at the Target store, then this free shipping offer would really benefit you. While standard shipping is free, if you want to upgrade your shipping method, then shipping charges will apply. You might purchase something in a Target store and decide you want to return it. Or, sometimes, when you order things online, from Target.com they just aren’t what you expect so you have to return them. If you have a REDcard, then you have a longer period of time than non-cardholders to return stuff. As a REDcard holder, you get 30 extra days to return things you purchased at Target or Target.com. Keep in mind though that the extended returns policy doesn’t apply to Target Mobile purchases, non-returnable items and purchases with a fixed return date. Another benefit that cardholders get access to is Target Subscriptions. This is a handy feature that allows you to subscribe to have items delivered at scheduled intervals. It’s sort of like the Amazon Subscribe and Save feature. You can subscribe to an item, decide how often you want to receive it, and then at the times you set, the items are automatically delivered to you. When you subscribe to an item on Target, you get a 5% discount, in addition to the 5% discount that you get when you use your REDcard. What is great about having a Target card is the additional coupons and deals that you get access to. When you sign up for email too, you will also receive more exclusive coupons and discounts. For example, Target will send you a 10% off coupon via email, every year on your REDcard anniversary. What’s great about the REDcard, and what a lot of people mention on sites like Reddit, is that as a cardholder, you get access to more personalized coupons that reflect your shopping habits. These discounts can save you even more at the store. Target Cartwheel is another great feature that Target offers. It’s an app that you can use to get discounts of between 5% and 50%, on a multitude of products at Target. There are hundreds of discounts to choose from. Using the app, you add them to your personalized Cartwheel barcode, and then scan your barcode when you shop at Target. You can use the discounts as many times as you want until they expire. 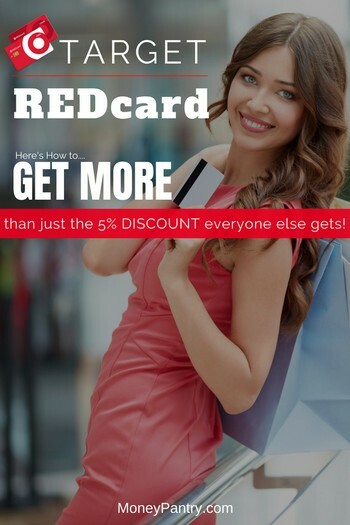 One of the best aspects of having a REDcard is the fact that you can use Carthwheel discounts and other coupons in conjunction with the 5% saving it offers. This allows you to stack discounts, coupons, and other deals for maximum savings. We highly recommend you do this. If you save 5% with your REDcard and another 5% to 50% on specific items with Cartwheel, then you save so much cash each time you shop. Plus, if you have store coupons and manufacturer coupons to use too, then you save even more. If you decide to go for the credit card, rather than the debit card, then you’ll be happy to know that Target does not charge an annual fee. Many credit card providers do, so this is definitely a big perk. It means that as long as you pay your credit card off on time, you won’t face any additional fees. If you opt to get the REDcard debit card, rather than the credit card, then you can withdraw cash with your card too. This is a pretty handy feature. You can withdraw up to $40 at the checkout. As you can see, there are many benefits to getting this card. But as with any other card, it does have a few drawbacks as well. Some stores will offer you an extra perk and rewards for signing up for a store card, but there is no Target REDcard sign up bonus. But, while there might not be any sign up bonus, the amount that you save with the discount is generally higher than it is at other stores, so this isn’t really too much of a downside. If you’re considering getting this card, then you might be wondering, can you use a Target REDcard at other stores, rather than just at Target stores? Unfortunately, the Target RedCARD can only be used at Target. Even though it is a credit card, or debit card, depending on what you apply for, it’s still a store card. This is kind of annoying – as it is in fact a credit/debit card too, you’d think that you would be able to use it at other stores. However, while you can’t use it at other retailers, there is one exception – sort of. You can still get 5% savings at Starbucks that are located within Target Stores. If you’re looking for a credit card that you can use a multiple stores, then this isn’t the card for you. While most items at Target are eligible for a 5% discount, not of them all are. There are, unfortunately, exclusions for cardholders. Prescriptions, over-the-counter items, so anything you’d find behind the pharmacy counter, and clinic services at Target. Previous purchases. Once you’ve received your card, you can’t use it to get a discount on purchases that you made prior to receiving it. Target Gift cards, prepaid cards, Stockpile and Gift of College gift cards. Certain restaurant merchants within Target Stores, like Pret A Manger, Freshii, D’Amico & Sons, and Italian Kitchen. Target Debit Card cash back and cash advances on the Target MasterCard, and Target credit account payments. Gift wrap and shipping and handling charges on Target.com. Wireless protection program purchases, as well as deposits required by mobile carriers. Who is this card best for? Overall, we would say that if you shop at Target stores or at Target.com, then getting a REDcard is a real no brainer. There’s really no reason not to get one. Having this card means that each and every time you shop at a Target store or online you get a 5% discount. With that discount, over the course of the year, you can save yourself hundreds or even thousands of dollars. Online, people talk very highly of the REDcard, like in this post on Reddit and this one. So, it’s definitely popular with people who shop at Target often. If you don’t shop at Target often, then maybe consider skipping it, but even if you only shop there occasionally, it’s still worth your while. After all, who doesn’t want to pay 5% less when they go shopping? Is Target REDcard worth it? If you shop at Target, then you should definitely get your hands on this card. The 5% discount alone more than makes this card worthwhile, not to mention the whole host of other benefits that come along with being a cardholder, like free shipping and the fact that you can combine your 5% discount with other coupons and deals. It’s a must-have, especially if you shop at Target often. Of course, there are a few cons to the card, as we talked about above. Plus, if you choose the credit card, there’s a high interest rate to consider, and possibly fees when you don’t pay off your card on time. If you choose the debit card, however, you won’t pay any interest or fees. So to sum up this Target REDcard review, we’d recommend signing up for a REDcard – you’ll save your hard earned cash every time you shop. 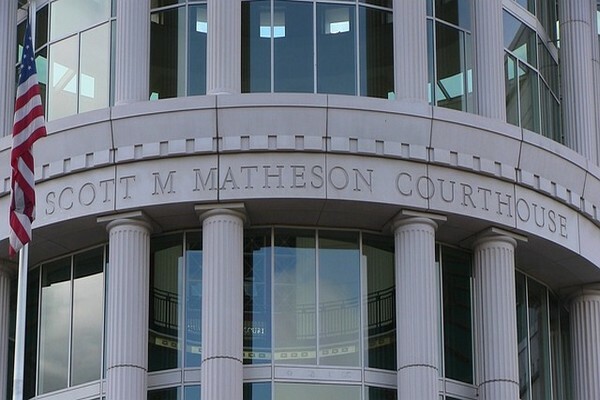 Free Class Action Lawsuit Money: Did You Claim Yours yet?